What if the Trustee Fails to Communicate? The information provided here does not offer legal advice or explain all there is to know about trusts. This topic of trusts provides general information only about the types of trusts in California and trustee duties and responsibilities. Always consult with an attorney or law firm well versed in trusts and estates and/or a licensed tax professional. There are many types of trusts in California. Always get legal advice to determine the trust best suited for your estate plan. A trust gets created for estate and tax planning purposes and to avoid probate. See our video about How to Avoid Probate. The trustor is the person who creates the trust. The settlor is another name for trustor. A trustee is a person who holds title to property for the benefit of others. Assets in your trust get managed according to the instructions in your trust. 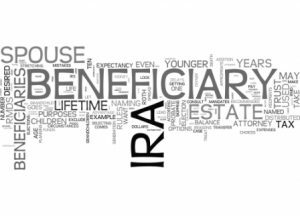 A beneficiary is a person named in the trust to receive cash or other trust assets. The creator of the trust can be the trustor, the trustee, and the beneficiary. An example of this is the title to real property held in trust. Revocable Living Trusts or inter-vivos trust. It can get amended or canceled while the Trustor is still alive. A living trust funded avoids probate. It does not provide asset protection. Testamentary Trust is a trust created in the grantor’s Will. Special Needs Trust gets set up for people who receive government benefits like health care and Social Security. A Charitable Trust gets set up to benefit a charity. They avoid or lower estate and gift tax. The Constructive Trust is an implied trust formed by the court without a formal declaration of trust. Spendthrift Trust prevents a beneficiary from selling or giving away trust assets. The trust protects assets from creditors as long as assets remain in the trust. Bypass Trust allows one spouse to leave money to the surviving spouse and limit the amount of federal estate tax due when the second spouse dies. While not tax avoidance, it saves the children money in federal taxes. Totten Trust gets used by financial institutions. Accounts get set up to pay the beneficiary upon the death of the grantor. It does not require a trust agreement and is revocable. Irrevocable Life Insurance Trusts are irrevocable insurance trusts that get set up to own a life insurance policy. Generation Skipping Trust is a legal document that passes assets down to the grandchildren, not the children, of the grantor. Skipping a generation avoids taxes that would be subject to estate taxes if assets got transferred to the children. Qualified Terminal Interest Property Trust, or QTIP Trust, gives a spouse a life estate in property without the federal gift tax. Credit Shelter Trust gets created to take advantage of state and federal tax exemptions. Blind Trust gets used in the private and public sector. They get set up to prevent the beneficiary of the assets from knowing how the assets get managed. They get used to prevent someone from self-dealing with inside information. A blind trust protects the privacy of lottery winners. A Simple Trust is as the name implies. The trustee’s only duty is to give the trust property to the beneficiary or beneficiaries in the time frame specified in the trust. Property trusts or trust property means the assets in a trust. Assets could be a mutual fund, any amount of money, life insurance, real property, and more. 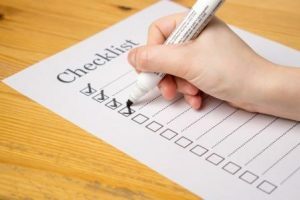 If you are looking for a checklist for trust administration click on the checklist to the right to be directed to the California Trust Administration Checklist on our website. How to determine if someone has a Trust? A good resource to determine if real property is held in trust is to ask a local real estate expert to check the title. The County Assessor’s Office and the Recorder’s Office are also good resources. Look for trust documents in the person’s files. Look for bank statements, deeds, and a Will that refers to a trust. If any papers have the name of an attorney, call the law office and ask if they have a record of a trust. If all assets do not get put in the trust before the trustor dies, Probate Code 17200 allows the trustee to petition the court to confirm the property is a trust asset. The duration of a trust is in the trust document. Unless a trust gets revoked, a trust ends when the trustor dies, or a beneficiary dies. Some trusts provide that the trust will end after a certain event happens. For example, when a beneficiary turns a certain age or gets married. If a trust is revocable, it can get amended or canceled. The probate court considers changing the terms to carry out the purpose of the trust. If ending the trust is more beneficial than carrying out the terms of the purpose of the trust. The law gives the trustor and all beneficiaries the right to end or change a trust if they all agree. A trustee can end a trust if the principal of a trust is worth $20,000 or less. If the cost to administer a trust costs more than the value of the trust, the court will grant permission to change or end the trust. Unless the powers of a Trustee conflict with California law, a trustee’s powers are noted in the revocable or irrevocable trust. A trustee’s job is to collect, preserve and protect the trust assets. Never use powers for personal benefit. The trustee supervises all delegated duties. Anything a trustee can do their self should not get delegated to others. Use reasonable care and skill to protect the trust. Unless it is not prudent to do so, diversify investments. Keep detailed records and produce an accurate accounting to the beneficiaries. An accounting must reflect what income is and what is principal. After a trustor dies, the Successor Trustee becomes the trustee. The successor trustee confirms acceptance by signing Acceptance of Trusteeship. Probate Code Section 18100.5 provides that a Certification of Trust may also get signed by the successor trustee. A Certification of Trust or Acceptance of Trusteeship is used to prove authority to act to a third party such as a financial institution. Notice to a beneficiary or beneficiaries and heirs get sent within 60 days of the Trustor’s death or 60 days after becoming the trustee when the trust becomes irrevocable after death. If you have a question on modifying an irrevocable trust please check out our Ca Probate Code 15404 page. The date the trustor signed the trust and the trustor’s name. Contact information for each trustee shall include the name, address and phone number. Address where administration of the trust takes place. Other information required by the trust. They may request a copy of the trust. The deadline to object to the trust is 60 days after a copy of the trust gets mailed or 120 days after the notice gets mailed. The laws for providing notice are in California Probate Code Section 16061.7. If the trust owns real property, then the trustee has 150 days after the trustor dies to notify the Assessor’s Office in the county where the property is. Within 90 days after the trustor’s death give notice of the trustor’s death to the Director of Health Services if the trustor received Medi-Cal or other health care benefits. The notice gets sent to the Director of California Victim Compensation and Government Claims Board within 90 days of the trustor’s death if an heir or beneficiary of the trust is in a correctional facility or in prison. Also sometimes the real property does not get transferred or funded into a trust, in this case, learn how California Probate Code 850 can help. When people serve as trustees they have a personal legal duty to follow the written instructions in the trust. It is common for a trust to instruct the successor trustee to pay outstanding debts such as credit cards and medical expenses, and funeral expenses before making distributions to beneficiaries. Some trusts require inheritance get paid within a short time following the trustor’s death. If the trust shows that assets are not to get distributed until someone dies or for a specified period, then a trustee has a duty to invest and manage the assets until all assets get distributed to your beneficiaries. The trustee has a duty to inventory the trustor’s assets and establish the value as of the day the trustor passed away. Assets like a business or real estate require a formal appraisal. File state or federal estate tax returns and taxes paid within 9 months of the trustor’s death. Estate tax returns may not need to get filed. 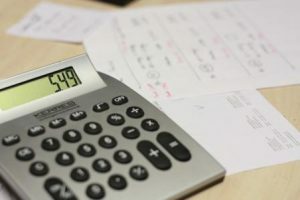 The inventory of assets and their value help to create a written accounting to the beneficiaries as required by Probate Code Sections 16062-16064. Request a tax ID from the Internal Revenue Service. Provide the trust tax ID to financial institutions to report dividend income and interest earned on the trust’s assets. 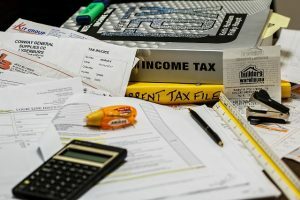 A trustee has a duty to make sure the trustor’s state and federal income tax returns get filed for the year in which the trustor died and pay income taxes when due. The trustee files the trusts income tax returns to report earned income after the trustor died and before all trust assets get distributed. We have a video on Income Tax Issues with Trusts you may find helpful. A trustee has the duty to keep beneficiaries informed. The trustee must respond to all reasonable requests for information about the trust, including getting a copy of the trust. A right to get information may get waived. A waiver gets withdrawn in writing by requesting copies of the most recent reports and future reports. 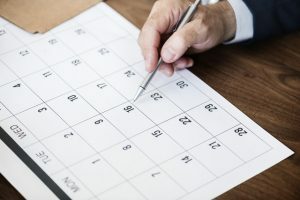 If the trustee does not respond to a written request for a report in 60 days or longer a petition gets filed to make the trustee file a report. 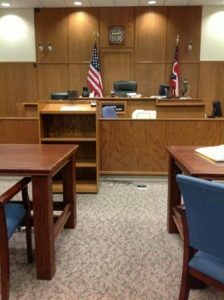 The court can require the trustee to give a copy of the report to a beneficiary if the beneficiary proves the trustee disobeyed their fiduciary duties. This is true even if the trust document does not require a trustee to provide written reports. When a trust is revocable, and a right to receive a report gets waived, a trustee does not have to give information unless the trust states they do. Gets disqualified as a sole trustee. When a trustee wants to resign as the trustee of a trust, they may resign as explained in the trust. If the trust is revocable, they may ask the trustor who created the trust to consent to their resignation. When the trust is irrevocable, the trustee may resign by filing a petition with the court and getting an order for resignation. Trustee’s file an accounting for the time they acted as trustee. An exception to that is if the beneficiaries do not require one. The trustee must get replaced if the trustee dies, files bankruptcy, or gets declared incompetent by a court. 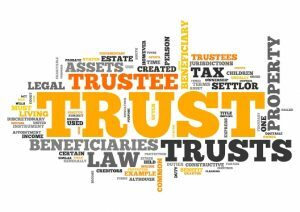 A trust may have Co-trustees and state that how a new trustee gets appointed or that the remaining Co-trustee will become a sole trustee. If a replacement trustee does not exist, and if the beneficiaries agree, then a trust company may serve as trustee. Any person with a financial interest in the trust or any person named as a trustee can file a petition to appoint a trustee. The court will appoint the Public Guardian as the trustee only if no one else will be the trustee. Always read a trust and consult with a trust attorney before challenging a trust. Anyone who challenges a trust and loses may lose their right to receive property from the trust. If the trust has a spendthrift provision, a beneficiary’s debts cannot get paid from the trust income or principal. The money must get paid to the beneficiary. If a trust beneficiary owes money to someone, the person owed the money can petition the court for an order requiring the beneficiary to pay the debt from their trust assets. When a deceased trustor of a revocable trust owes money and there isn’t enough money to pay the debt, a claim gets made against the probate estate. If the claim gets awarded, it gets paid from the property in the trust. A claim gets filed within 4 months from when the Notice to Creditors gets published or within 30 days after the notice gets delivered. Send the trustee a copy of the claim. If the claim gets rejected by the trustee a lawsuit must get filed to recover money owed. The law may prevent claims being made if too much time has passed. Time limits for filing claims are in Probate Code Section 19255. 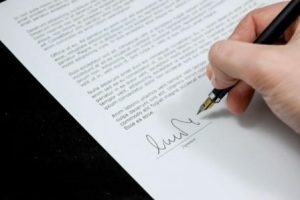 Unless a trust is revocable, the law states a beneficiary or a trustee can petition the court to determine if a trust exists or the internal affairs of the trust. Consult with a trust attorney before filing a petition. If the trust does not specify who gets what, and when, ask the court to determine the beneficiaries and what they get. Review the actions of the trustee and settle accounts. For a complete list of reasons to petition the court see Probate Code Section 17200. When a claim gets made against some or all of the real or personal property which the trustee has or holds the title. 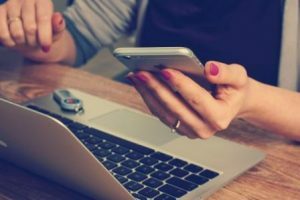 The trustee makes a claim against some or all of the real or personal property that another person has or holds title to. If a claim gets made against the trust by a creditor of the trustor. A wealth of legal information is online. Setting up trusts involves more than completing legal forms. If you need an estate attorney, we are happy to provide a recommendation to a law firm that specializes in different types of trusts in California. If you need to sell real property we can help. We are certified probate real estate agents specialized in probate and trust sales.